Capitalize on your nefarious network of criminal contacts and reap double GTA$ and RP every day this week as part of Friends In High Places Week in GTA Online. Each day through Wednesday February 24th, a different contact in your iFruit will be offering double the standard amount of GTA$ and RP for completing the GTA Online missions they've sent you - and on Thursday February 25th get ready for the grand finale as all Contact Missions will be rewarding double. With Contact Missions offering some of the most lucrative deals in GTA Online, be sure to follow the schedule closely each day to max out your earnings. Also, take note of a little extra bonus or discount every day, each one specific to the Contact offering up the day's bounty. 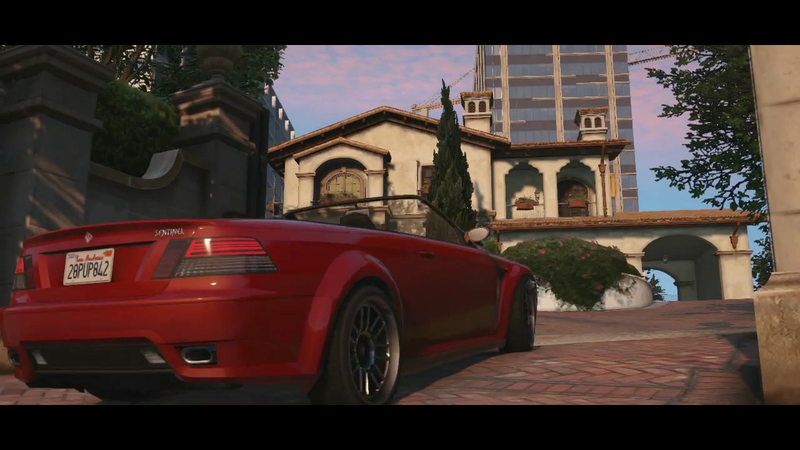 Enjoy and Crew-up in the forums! 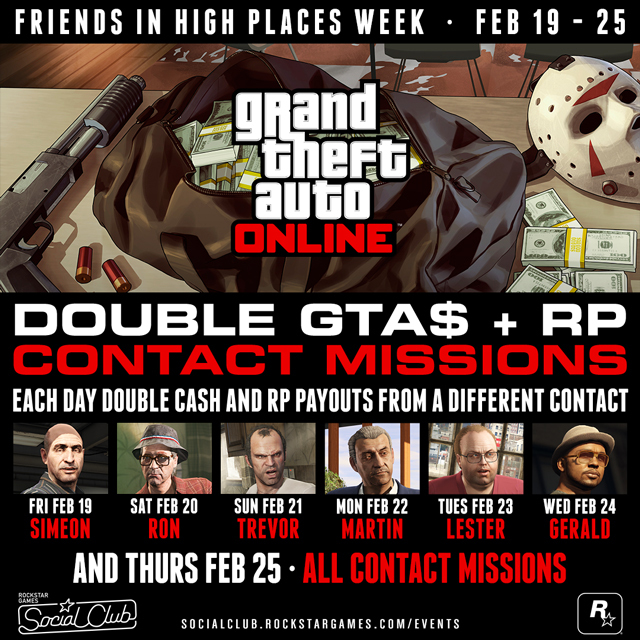 Friends in High Places Week: Contact Mission Bonuses - Get plenty of bonus RP and GTA$ from contact missions starting today and lasting through February 25th.